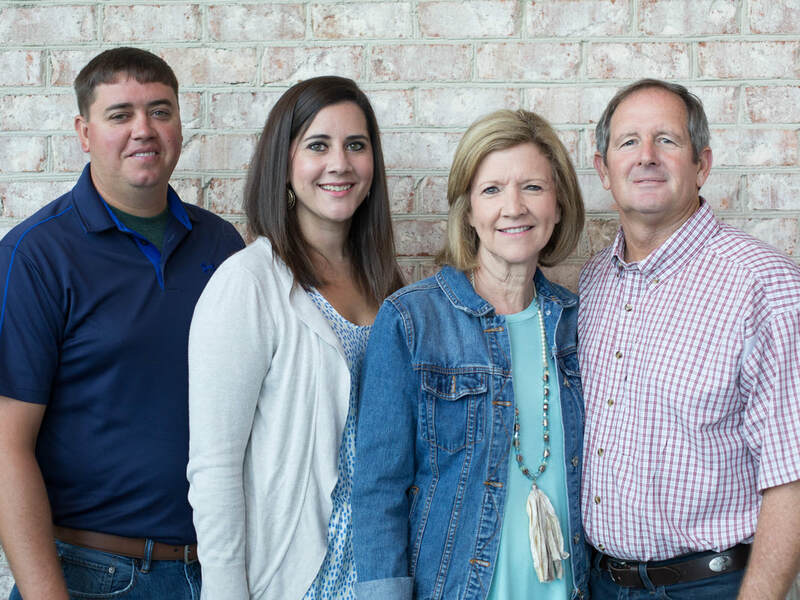 ​Glen and Debbie Rector have over 30 years of experience in ministry. Married for over 40 years years, Glen is the Athletic Director and varsity girls basketball coach at Wilson Hall and Debbie works in the 3 year old program at Wilson Hall. At their previous church they helped start a young married class. During those 7 years the Lord placed in their hearts a sincere desire to see young married couples grow in their love for God and each other. Debbie and Glen have two married children and six grandkids. Their favorite week of the year is Nana and Pop's Camp when they have all 6 grandkids for a week. Married for 12 years, Lauren and Richard Barkley met while attending Presbyterian College. Richard was a pitcher on the baseball team and Lauren played first base on the softball team. They have three young boys Owen, Bennett and Hudson. Lauren works at Bynum Insurance and Richard is a Certified Orthotist and Prosthetist for Reliable Medical Equipment . They were actively involved with Glen and Debbie in their previous Young Married Class helping with activities and ministry. Richard and Lauren are going through the challenges and joys of being a young married couple with children. With a servant's heart they both are looking forward to ministering other couples. This life group will focus on practical application in dealing with the challenges of being a young married couple.